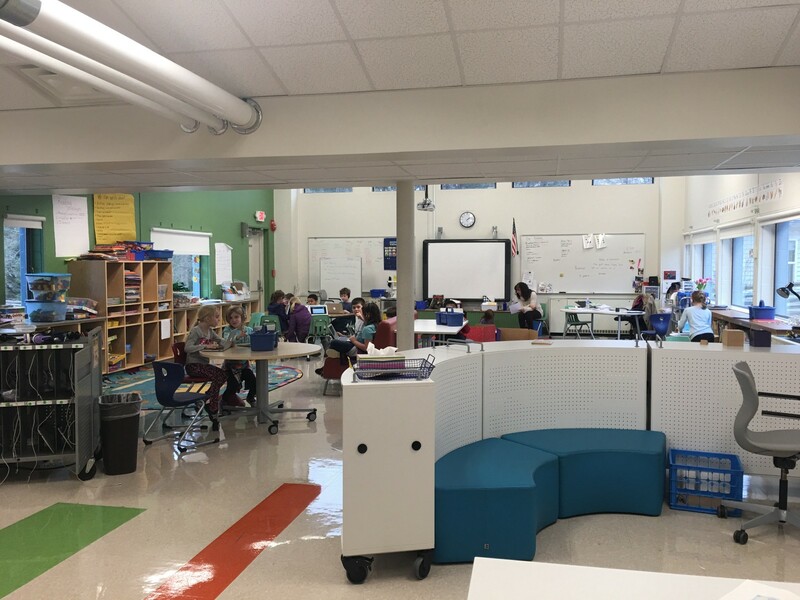 I recently visited our newest multi-age space redesign in a small rural elementary school. When we began the process to modernize this school, we knew we had to design and build new space from the inside out. The school had some nice elements including a clerestory roof line that should have allowed natural light into classrooms but didn’t because tall storage cabinets added over the years blocked light from the classroom work areas. In the redesign the school’s 20th century rectangular classrooms were combined to create a variety of multi-age spaces. An art room located in an older trailer and the small library were moved and integrated into a common arts and library space. The design team increased connectivity and transparency by adding doors and windows that opened up access to the school’s rural, park-like setting. The teachers in this school see the rural area, local farms, and natural environment as a learning asset. They also believe that access to fresh air and movement is key for learners to stay engaged throughout the day. The learning flexibility created by our new school-wide, multi-age spaces offers a much wider bandwidth of opportunities and potential experiences to children. We have learned from multiple research sources that natural light is a key ingredient to create environments in which learners thrive. Since the redesign, light pours into halls and learning spaces. 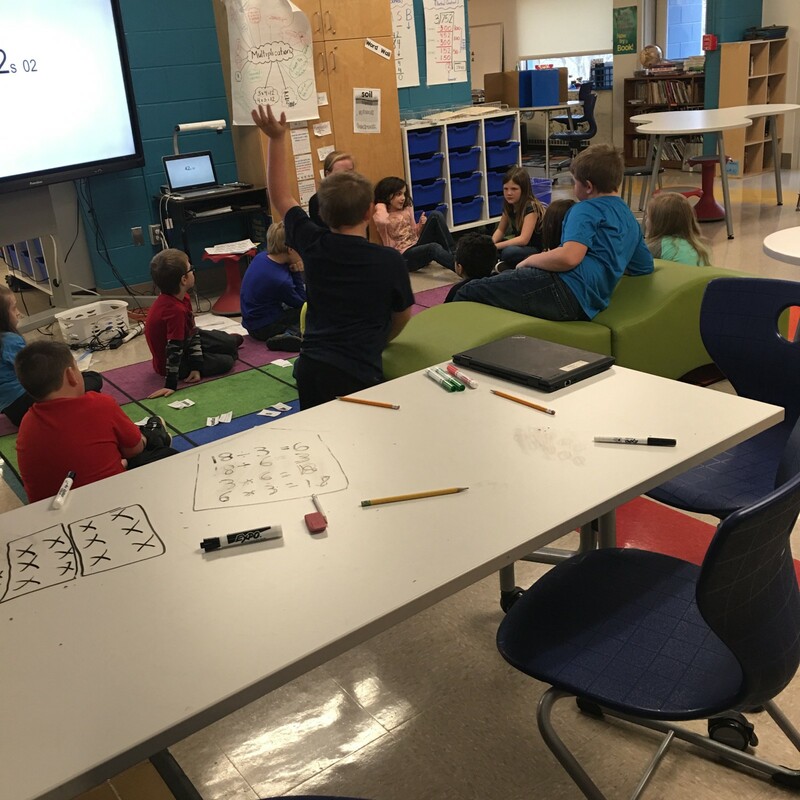 A variety of flexible furniture, seating, and informal work areas provide learners and teachers with both choice and comfort options to locate in space differently depending upon the work that is being done. 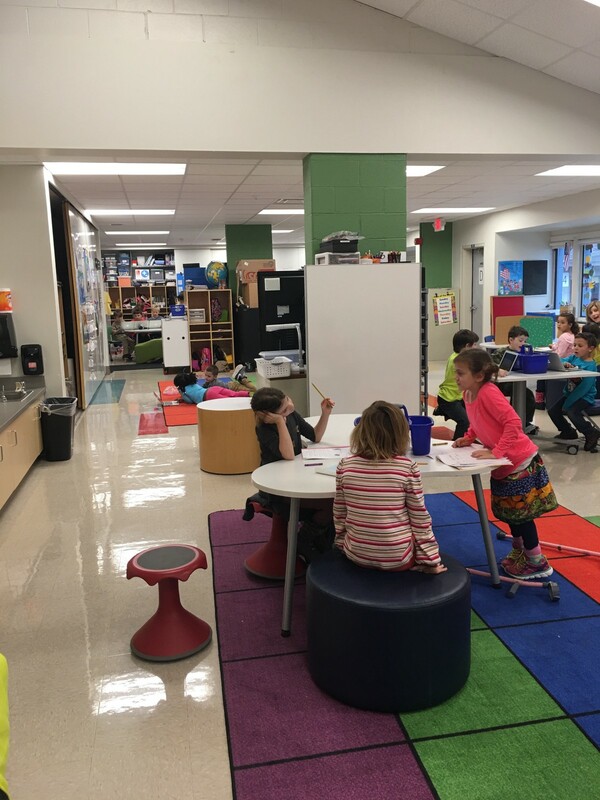 The teachers know from learning research that both spaces for quiet, independent work as well as for small and large groups to gather are critical to address the range of children’s needs, planned learning experiences, and instruction necessary to maximize learning potential across the school. It’s not easy to make changes from physical teaching places to child-centered learning spaces. It’s even harder to shift practices, values, and beliefs associated with teaching age-based classes to those essential to creating viable, multi-age learning experiences. It takes time for teachers who have “owned” a room to learn how to share space, plan, and teach together. 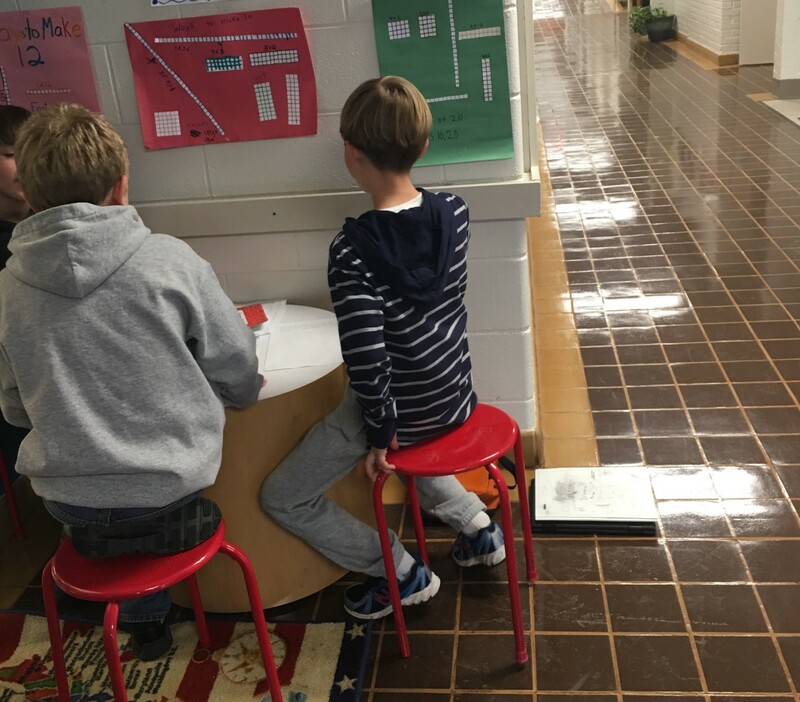 Sharing space in concept is different than sharing in reality — for adult and young learners. Seeing children through a developmental lens in multi-age spaces challenges the way we’ve learned to use learning standards, benchmarks, and expectations in single-age classrooms. What does “on level” really mean? How do we teach grade-level math standards in a multi-age class? What do we notice about social-emotional learning development that’s different in a group of children ranging in age from eight to ten versus a class with all ten year olds? Negotiating curricula, assessment, and pedagogy isn’t easy when you begin to work in a co-teaching team. Compromise, collaboration, and negotiation skills become critical to moving through the forming to storming to norming to performing phases of the team’s work. The dysfunctions of working in isolation become more apparent in teams than in the traditional structures and schedules of schools. That’s one reason why time to build relationships, plan, and reflect together is key to the process of developing a strong and effective team. From prior shifts in redesigning spaces in our schools, we know that change is an iterative process with both growing pains and gains. I see it every time we go through the process. Are there strategies that increase the likelihood of success? Yes — here’s what I notice. The ideal and real life of change are quite different. Accept that every journey of 1000 miles begins with a single step. 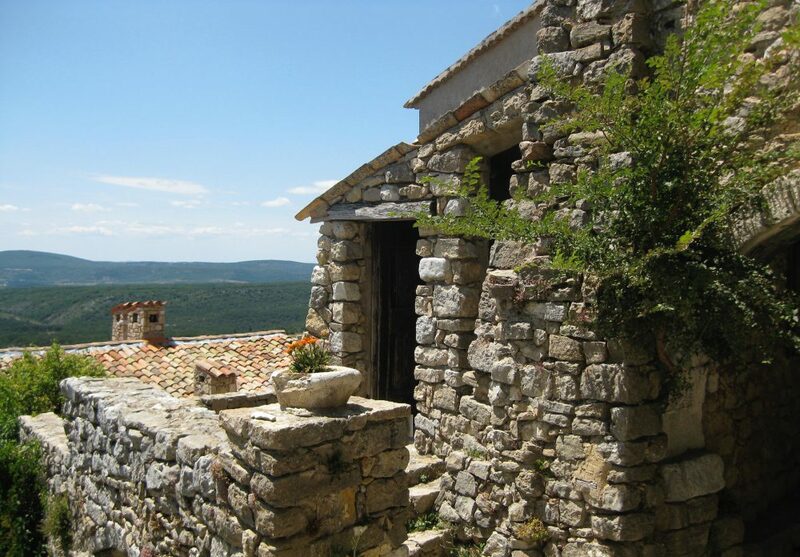 The first step is visualizing big possibilities and then moving towards that vision in stages. Rome wasn’t built in a day. We must accept that deep change in school processes and practices doesn’t happen overnight. Physical space redesign doesn’t force change but it can make it easier to shift to contemporary practices. More than anything, it’s the time adults devote to working together to design, plan, experiment, and reflect that results in change. You can’t undervalue investing the funds for the time teams need to build relationships and plan ahead. Space matters. Resources matter. People matter the most. Invest in their time. Care, support, and empathy are essential to working with educators embarked on making radical change. We say that kids need to feel emotional comfort when they take on learning challenges. The same is true of adults. Every time that we take a risk, it may lead to either success or failure. Celebrate success but avoid punishing failure. Many years ago a leader said to me when I took a risk and failed, “rather than beating yourself up, let this be a learning experience — and consider what you would do differently next time. The failure to do that would be the real failure for you in this.” Be present as a leader with your team when you are taking them into the waters of deep change. Leadership matters. Finally, I’ve learned over time that children know everything we adults need to be wise in our work together. 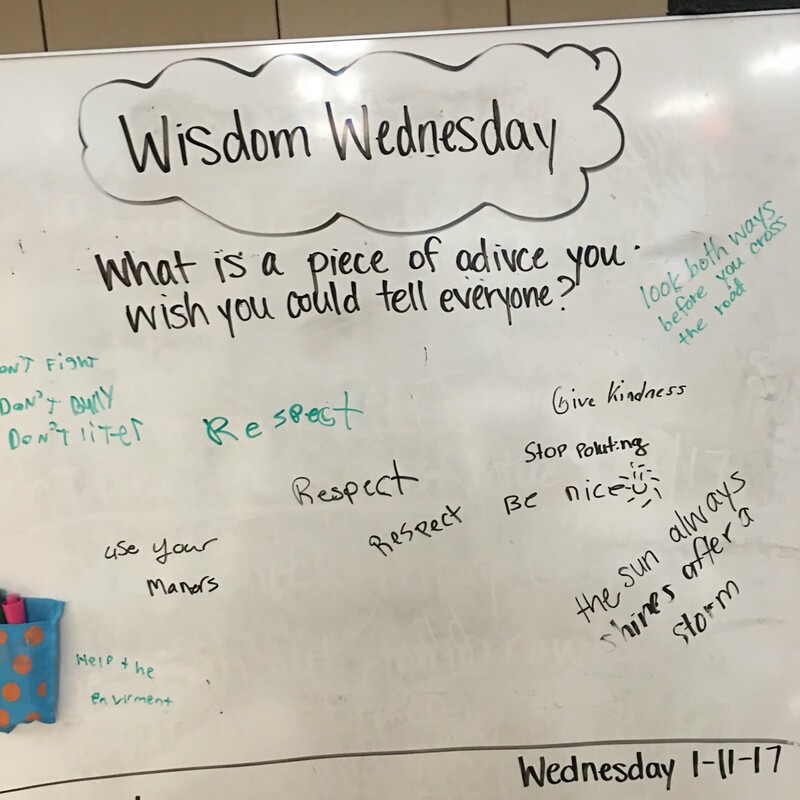 The children in this small rural elementary school recently offered words of wisdom to their peers and their teachers. Practice words of wisdom with the adults in your team and not just with the children you serve. And remember, the sun always shines after a storm. This entry was posted in culture, Design, Game Changers, Leadership, school culture, social story, Uncategorized and tagged 21st century learning, active learning, creativity, Design, educational change, innovation, learning spaces, multiage, school architecture by pamelamoran. Bookmark the permalink.